The Lutheran Church Canada (LCC)and seminary of the Lutheran Church Synod of Nicaragua (ILSN) started work in Honduras in 2006. The work first began at “The Children of Love Foundation” in La Paz, a home and school for children. There, two pastors from Nicaragua included Lutheran instruction in the curriculum and shared the Gospel. Two men spearhead the mission effort in Honduras today: Deacon Tulio Meza and the Rev. Junior Martinez. Tulio Meza lives and works in Comayaguela across the river from the Honduran capital of Tegucigalpa, and Junior centers his ministry in La Paz. Honduran Tulio Meza came to the faith through his sister Loli, who married a Nebraska farmer. As a Lutheran convert she wanted to share her newfound faith with her family in Comayaguela,Honduras. God’s perfect plan brought Tulio to the waters of baptism in 2002. Loli and her husband continued to promote Honduran support from their home congregation in Auburn, Nebraska. In 2006, a group of Nebraska farmers donated the proceeds from a soybean crop to fund mission work in Comayaguela . The following year, Rev. 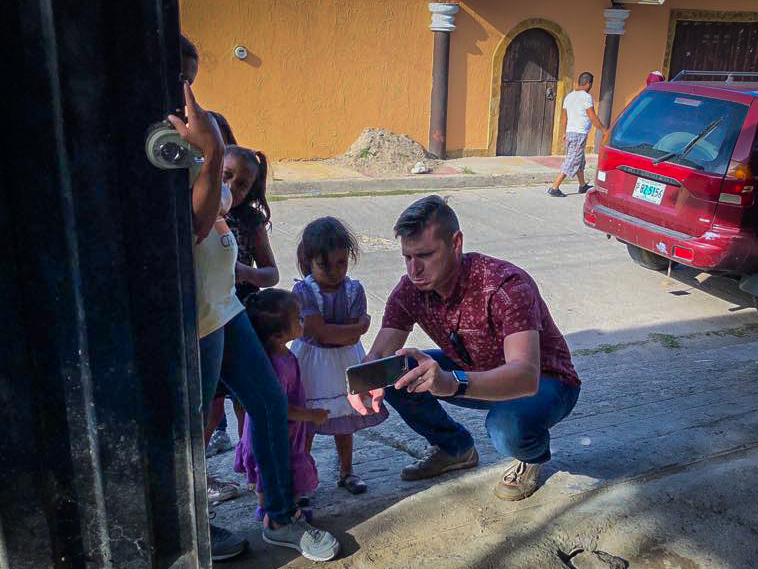 Ed Auger led an exploratory mission trip to Honduras. Members of Trinity Lutheran in Auburn, Nebraska and Mission Central in Mapleton, Iowa joined in that visit. Pastor Auger continued to work with,instruct and encourage Tulio. Eventually, Tulio attended the seminary in Nicaragua, graduated and was ordained. After a few months in the pastoral ministry, Tulio felt it would be better to step down from his service as pastor and return to his vocation as a welder. He continues work as a deacon for this church. On August 25, 2014, a decision was made to rent space to expand the ministry being done at Comayaguela. Tulio’s friend, Alfredo Oseguera, offered a small house that needed some repairs.Repair work began on the house. Children and adults from the neighborhood helped with repairs. They put on a new roof. They laid a new floor. They now have a wonderful building for mission. Today they have Christian education classes, but they do not have regular worship. Occasionally, Pastor Martinez visits to bring worship to this congregation. They have had 23 baptisms at this mission church since beginning. They have done some amazing outreach projects with community gardens, improving the homes of individuals indeed and sharing the Gospel. They have been reaching out to children and doing other mission outreach in a town called Choluteca. Nicaraguan missionary Martinez has been in La Paz for five years. He leads 18 children in Bible studies, has baptized 23, and confirmed many of the baptized during his time. He uses materials originally written and developed by Deaconess Cherie Auger. The materials entitled “Enseñando la fe” (Teaching the Faith) are based on Luther’s Small Catechism. They are working to reach all the family members and encourage Christian life. Martinez visits two other communities. One community is 13 kilometers away, and the other is 50 kilometers away. He also serves his congregation in La Paz and Meza’s group in Comayaguela. Martinez’s family currently rents the church building and parsonage. 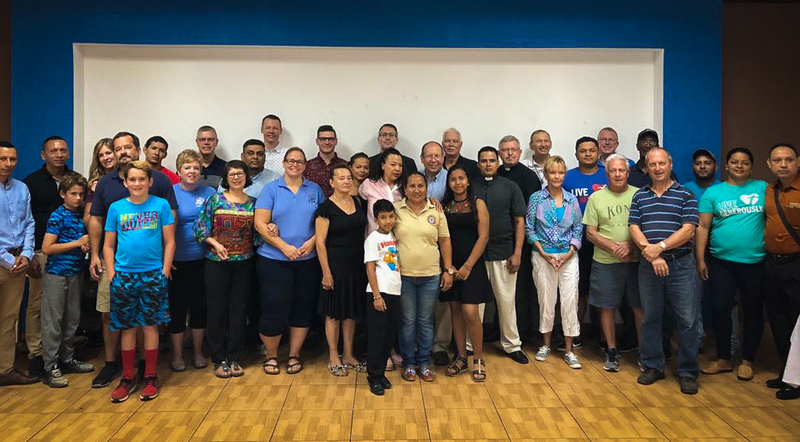 FORO partners from LCC, LCMS,ILSN, and the Lutheran Church in Guatemala met in La Paz in mid-September of 2018. They reaffirmed their strategic plan to form a national church in Honduras and to legally establish the church’s presence in Honduras. 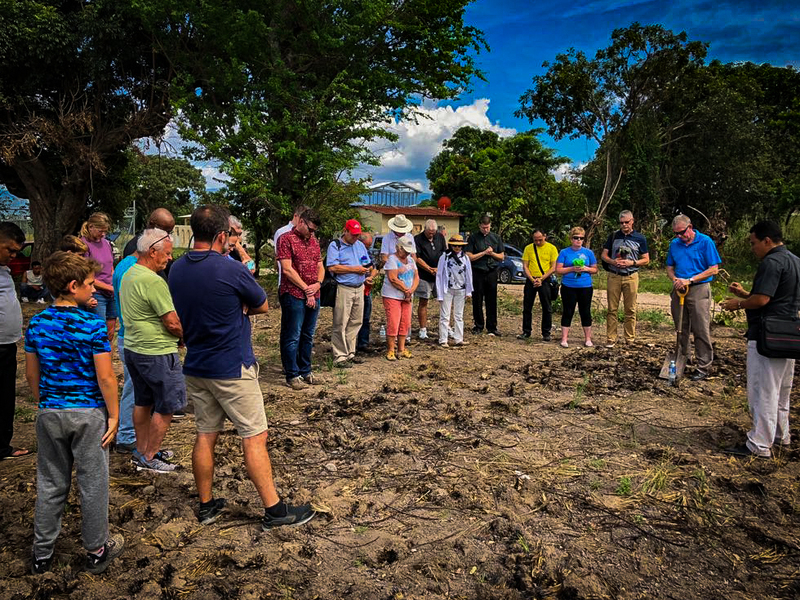 Faith Lutheran of Viera, Florida, purchased property in La Paz and FORO members participated in a groundbreaking ceremony on September 16, 2018. Plans for the land include a church, school and parsonage. 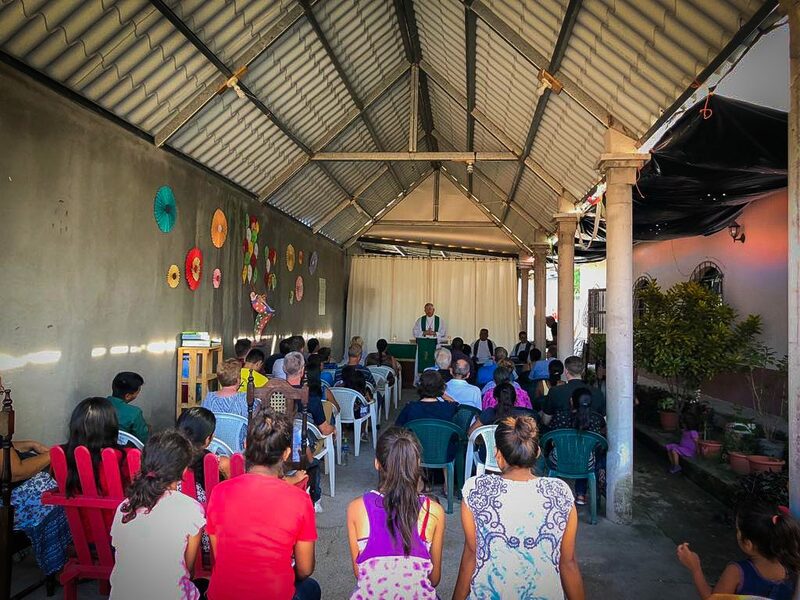 God is working through the Lutheran Church in Honduras. May God bless and keep these men, and we pray for those who have not heard the Gospel yet. May we continue to spread the word, plant Lutheran churches and show mercy.